"Practical Application of Intimate Relationship Skills"
To help couples . . .
PAIRS FOR PEERS offers age appropriate educational programs for youths. Their interactive programs are offered in the classroom and in small group settings. The youths are taught skills to enhance their communication, build empathy, appreciate others, respect differences, and build self-awareness. This program is fun and age appropriate. Lessons include brief lectures, role play, interactive exercises, peer coaching, imagery and journaling, as wall as group discussion. Remember back to your dating days? Now you can reclaim that same spark, connection and creativity through 10 Great Dates with 10 marriage enriching themes to revitalize your relationship with fun, romance and intimacy. What happens on a typical "Great Date?" You meet for a brief gathering time with other couples and view a short video clip on the theme by David and Claudia Arp (www.marriagealive.com), get a chance to win the door prizes, and then go out on your own for the rest of the evening. During the course of the evening you have a short discussion exercise to work through that reinforces the theme. That's it! Have a blast together! Attend one or attend them all as you can! Your church can start any time, too. Childcare: Arrange your own sitter. The Foccus Comprehensive Premarital Training Program is a premarital mentor training program offered by Marriage Builders Family Resource Center. Mentor couples are trained to help engaged couples learn how to build a marriage that lasts a lifetime. Mentors bring a wealth of experience and insight from their own marriage. The engaged or seriously dating couple can evaluate their relationship with the FOCCUS premarital inventory. This inventory will help couples be sure they are marrying the right person. Foster a realistic understanding of what is required to ensure a lifelong, committed relationship to God and each other. The primary objective of mentoring is listening and facilitating dialogue, not lecturing or preaching. Good mentors encourage engaged couples to express their thoughts and feelings openly and honestly to each other within the framework of a listening and loving atmosphere. FOCCUS IS a research-based premarital INVENTORY of 156 basic questions on marriage and of 33 additional specialized questions on interfaith, remarriage, and cohabitation. This inventory can provide the means by which a couple can OWN and SHAPE their marriage preparation process. It is a tool to facilitate open communication. Relationship,Enrichment, Faciliating, Open Couple Communication, Understanding and Study. A refresher for couples who have previously participated in the FOCCUS inventory program. ReFOCCUS explores how the relationship has grown and helps pinpoint areas where further work is necessary. It is ideal for couples who have been married for 5 years or more. REFOCCUS is written to affirm and promote growth in strong marriages; it is written to give direction and help to the ordinary couple struggling with the daily questions of marriage. What growth or change or development each one, and the couple together, are ready to do. Geared towards dating relationships and partner-selection education. Teaches skills for thinking about romantic relationships, particularly about the importance of the connection between knowing a potential partner and how much you trust, rely on, or commit to that person. Can be used in a variety of settings, including youth and student groups, military, social agencies and churches. The P.I.C.K. A Partner system is a premarital education course designed by John Van Epp, Ph.D. to encourage active thinking about romantic relationships and to provide class participants with useful tools for analyzing their relationships. The goal is to help participants learn to balance the influences of their mind and their heart regarding their romantic relationships. The curriculum is based on the Relationship Attachment Model® (R.A.M.). The R.A.M. system helps class participants to understand the relationship between how well they know a potential partner and how much they can trust, rely on, and commit to that partner. Couples are taught the importance of building safe relationships while knowing what to look for in a dating partner and an accurate understanding of what that person would be like in a long-term relationship. P.I.C.K. A Partner is available in a secular version, and a Christian version which incorporates Bible study into the classes. 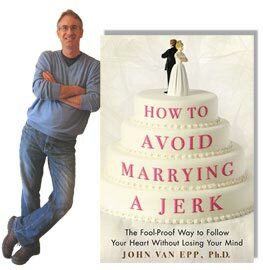 Teaching materials are available under both the "How to Avoid Marrying A Jerk(ette)" and "Love Thinks" titles. Offers several relationship inventories that assist couples in exploring relationship strengths and areas for growth, assertiveness, conflict resolution; developing personal, couple, and family goals; and discussing budgeting and financial planning. Participants complete 5 inventories then complete 4-6 feedback sessions involving facilitated discussion based on inventory results. Inventories created for a diverse array of couples, from pre-marital couples to well-established couples over 50. Copyright © 2007 http://www.marriagesavers.info All Rights Reserved.